A stunning piece of Battle Of Britain Memorabilia. Spitfire MH434 in markings AC-S, used in the film: Battle of Britain. Following film use the original Spitfire was acquired by Adrian Swire, in whose ownership it was well known as “AC-S”. There were several film and television appearances during this period, including “A Bridge Too Far”. 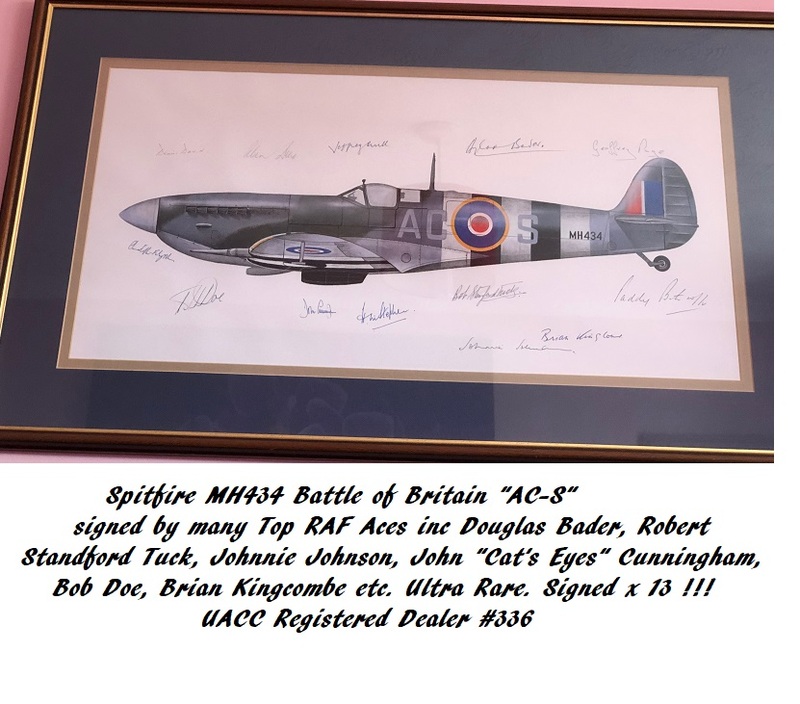 One of the best signed Spitfire prints available anywhere, this framed beauty is signed by 13 RAF top fighter ace legends. 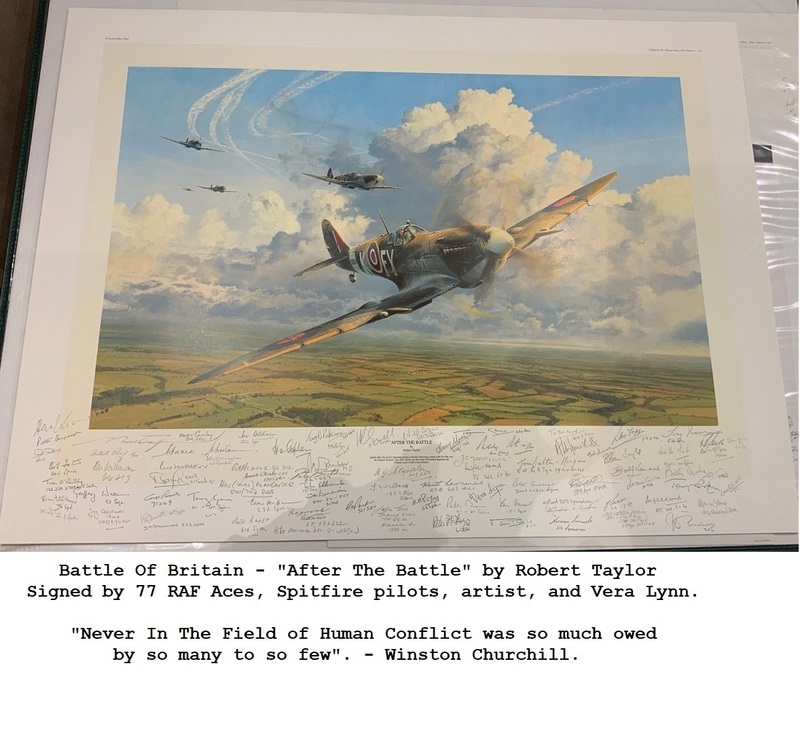 It is extremely rare to get such an authentic collection of autographs on a Spitfire print like this, especially with such legends, and in such fine condition. Beautifully matted, framed, and ready to hang. Everything about this item is museum quality. Size: 84cm x 51cm inc frame. This is truely one of the finest you will probably ever see for such a rare collection of RAF Aces on this iconic Spitfire print !